The fun Cycling Charm Bracelet features three of our most popular pendant styles miniaturized and attached to a bracelet. The bracelet features: a crank, a water bottle and a chain link. The Cycling Charm Bracelet is 925-silver. 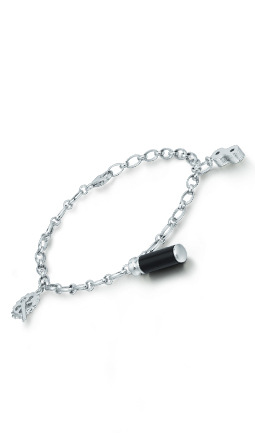 The main body of the water bottle charm is black onyx.